Column labels - "Drawing No. 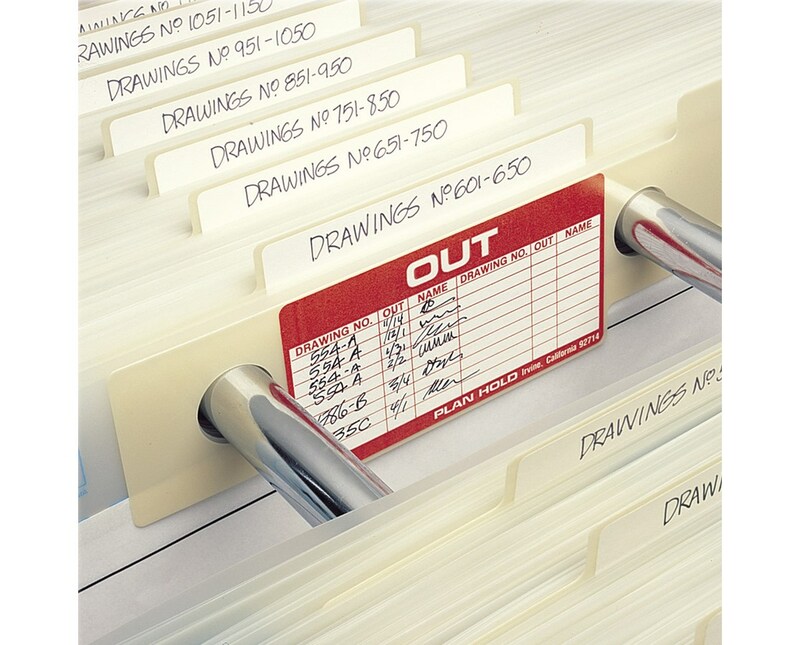 ", "Out", and "Name"
The Index/Out Guides for Safco MasterFile 2 is a great accessory in keep tabs on the documents stored in the Safco MasterFile 2. It has six columns that are labeled "Drawing No. 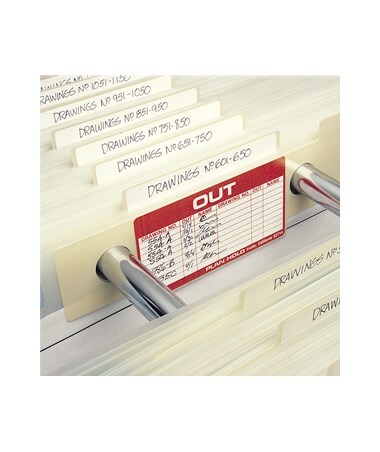 ", "Out", and "Name", which help make keeping track on the documents as to when and who took it out. It has labels "OUT" that are projected above the guides allow it to be easily seen at a glance. These index guides are 16 inches long, come with pre-punched holes that are 6.5-inches apart, and are also enough to fit over the pins of the document storage. Each package includes 20 guides.